In the words of President Carter, "In the year 2000 this solar water heater behind me, which is being dedicated today, will still be here supplying cheap, efficient energy... A generation from now, this solar heater... can be just a small part of one of the greatest and most exciting adventures ever undertaken by the American people." The global car industry is spending billions on this energy metal, and the thing is, the supply is already severely challenged. A little over a year ago, our Global Energy Strategist discussed an intriguing project involving Tesla, a French renewable company, and the government of South Australia. Not that long ago, I'm sure you remember, the Organization of Petroleum Exporting Countries, better known as OPEC, controlled the international price of crude oil. Given its effective control over more than 40% of all oil produced daily worldwide, how much (or little) the cartel decided to move into the market was the single biggest factor in setting the worldwide price. In fact, in 1973, in the wake of the Yom Kippur War between Israel and the Arab coalition, OPEC was able to bring the West virtually to its knees, enacting an oil embargo by way of punishing major Western powers for their support of Israel in the conflict. Of course, in those days, the United States was dependent upon foreign producers for almost 70% of the oil the country needed daily. It had become both an economic and a national security concern, and "energy independence" was the preoccupation of American presidents going back to Richard Nixon. More than 60% of all domestic production was coming from stripper wells - wells producing fewer than 10 barrels a day each. But then the combination of hydraulic fracturing and horizontal drilling ushered in a genuine "American energy revolution" in oil production. The opening of shale (along with the broader tight) oil and natural gas production revolutionized the industry. Over the past decade, something truly unusual developed. American domestic oil production became the balance for global supply and demand. From barely 4 million barrels a day in 2008, extractions in the United States have now reached a record 11 million barrels, with some estimates expecting a rise to 12 million by 2020. That would catapult domestic production into the number one position worldwide. Then, as part of a budget agreement in mid-December 2015, Congress ended a more than four-decade prohibition on exporting U.S. crude to international markets. Just as the shale revolution was gaining steam, the added volume started moving out to higher-priced foreign markets. American oil production has become the fulcrum on which international oil trade operates. 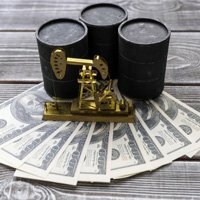 What are the most undervalued energy stocks of 2018? Thanks to our system, we've identified five. The new T. Boone Pickens ETF might seem like an exciting way to profit from the legendary billionaire's investing skill. This week, President Donald Trump imposed a 30% tariff on China solar panels. Unfortunately, these protective tariffs are more likely to hurt American workers than China. Solar just had another banner year in 2017. 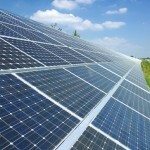 As of late December, the U.S. solar industry was on track to install nearly 12 gigawatts (GW) of solar capacity. And during the first three quarters of 2017, 25% of all new electric-generating capacity brought online came from solar - second only behind natural gas. Americans are clearly flocking to solar in spades, and other countries are starting to ramp up their renewables markets as well. So, whether you like it or not, solar is here to stay. But as I told my paid-up Energy Advantage subscribers in my full 2018 forecast, solar won't be the "silver bullet" that permanently "ends" the oil industry. Instead, broader demand for all energy sources looks increasingly positive as we move further into 2018. And crucially for us, the improvement in energy demand prospects is widening to include both traditional sources - such as oil - and renewable sources - such as solar. This little-known government mandate could have a huge impact on global oil demand this Monday. All thanks to one little device that's about to become extremely popular. As a normal investor with a balanced, long-term view, you can stabilize the market. That's why I started Oil & Energy Investor - to help you prevent market meltdowns. The way to do that is by following this simple, 15-step strategy. I've been wrestling with a problem, one that made the 19 hours it took me to drive down to our residence in Florida a bit easier. Nothing like a little exercise for the mind when the rest of you is being held hostage by an automobile. The problem I've been thinking about is the shortcoming in the way the values of energy sources are currently measured. Finding a new way to measure energy has not been a primary concern until recently, because the standard method required little more than measuring the consumption of it. That's because energy demand is rising, and renewable costs are falling. The prices of cobalt stocks are skyrocketing in 2017, with one netting 729% so far. The demand is going through the roof for cobalt because of electric vehicles.